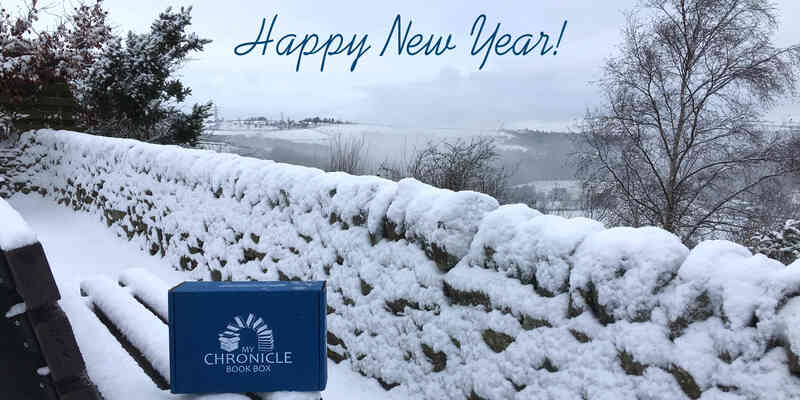 This has been an amazing year for me having launched My Chronicle Book Box and I want to say a big thank you to all our wonderful subscribers and customers for all your support in 2017. Now 2018 is upon us and I want to wish you all a very happy and healthy year ahead, blessed with plenty of great books and time to read them! I have read a lot of books this year, many of them shortlisted for My Chronicle Book Boxes, but not all. I like to re-read older books from time to time and I have read new books in a series which do not standalone. For these reasons they were never contenders for the boxes but although I now get to read for business, I also read very much for pleasure. I read, ultimately, for fun and to relax and often right before bed so I read whatever I am in the mood for. You can read about some of my favourite 2017 releases here. Looking ahead, many of you will be waiting with excitement for your February My Chronicle Book Box to arrive and I hope to continue to exceed expectations with each box and increase the numbers of subscribers as the year goes on. To keep you going while you wait, one of my most anticipated releases for January 2018 (which won’t be featured in my book box) is Iron Gold by Pierce Brown. This is book four in The Red Rising series and has received great reviews from bloggers I trust including @emmasbookishcorner so should be good! If you haven’t tried this series yet I recommend it. Don’t forget, we are currently offering 15% off our next quarterly book box but only until 6 January. The code to use is MCBB15-118 on checkout.